Blog Quick Quotes: Inspiration Friday + A Giveaway! Inspiration Friday + A Giveaway! 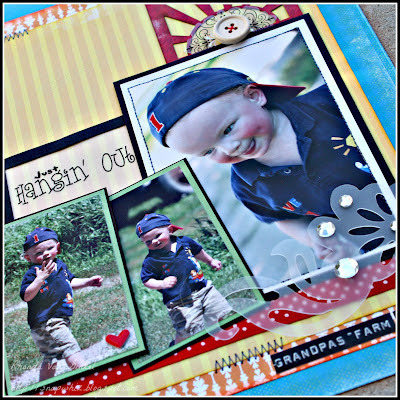 Marcia here today to help host the Quick Quotes blog with some layout inspiration. 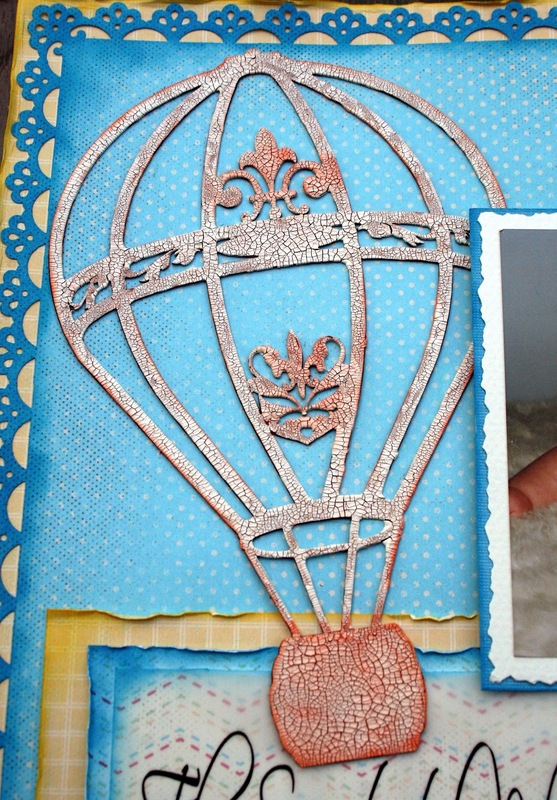 I used the One Fine Day collection and balloon chipboard to create this layout of my son at 5 months old. The vellum makes the perfect title for my layout. 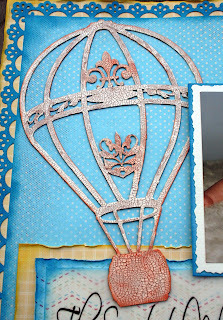 The balloon chipboard was finished with white crackle paint and Mango Mai Tai PowderPuff Chalk Ink. I even used the chalk ink to accent my ducks and help them blend better into the color scheme. Tim Holtz Distress White picket fence crackle paint by Ranger Ink. Duck Buttons with shanks removed. Rhonda here to share a page that I created with pieces from the June Club Q kit. It featured our Summer Samba and had such bright and fun colors!!! These photos are of our youngest last year when he was 2. They grow so so fast!!! The kit included so many super cool die cut shapes to work with! I used the white scalloped square die cut and I cut an end to layer under my papers. I also cut the sun apart from one of the provided cuts and thought it would be fun to layer over the yellow here. I embellished it with a flourish acetate piece and a wooden button from my stash. I absolutely LOVE our Frosted Flourishes! They add such a nice soft feel to a project and can help show some movement. To add to the fun here I attached my yellow paper with a few segments of zig zag stitching. The Itty Bitty Vellum quote that I used here felt just perfect for the page! I used a scrap piece of black card stock and a rectangle Spellbinders die to create a very simple frame. The black coordinated nicely with my photo mats. Acetate Sun Accent - K&Co. Hi everyone! Tanisha here on this beautiful Friday to share a project with you. Don't forget! There's a giveaway going on!!! Today is the last day until 11:59pm PST to post a comment to win! You still have time to comment on the Wednesday and Thursday Inspiration posts too for more chances! We are giving away some Vellum Quotes and a couple of PowderPuff Chalk Inks. Another great set of projects! Live the layouts especially! What amazing projects - thanks for the chance to win. Like the layouts & photos. They do indeed grow up fast. Hard to believe my daughter will be 21 the end of this yr.
Love all the layouts. The hot air balloon is so cute. I like the idea of the naked chipboard pieces. I always think I have to ink them to use them. Love these LO's! And the flowers on that card are gorgeous! Thanks! Loved the layouts and cards today, but the first layout is adorable and I loved the vellum quote. Thanks for all the lovely inspiration today. I love the baby pics! Once again, you guys have outdone yourselves! Beautiful! Seeing the beautiful layouts of the gorgeous boys was a joy today. Love the bright happy colors. Thanks for all the funideas and chances to win. Sper awesome projects. Beautiful work!!! Love the layouts and the card is gorgeous!! Thanks for the inspiration! !